Bay Of Poets has increased the British interest in Sunday's Prix du Jockey Club at Chantilly by being supplemented into the Classic by Godolphin at a cost of €72,000. The son of Lope De Vega has mixed it with the best middle-distance colts on his first two outings of the campaign, finishing third behind Cracksman and Permian in the Blue Riband Trial at Epsom before chasing home Cliffs Of Moher in the Dee Stakes at Chester. 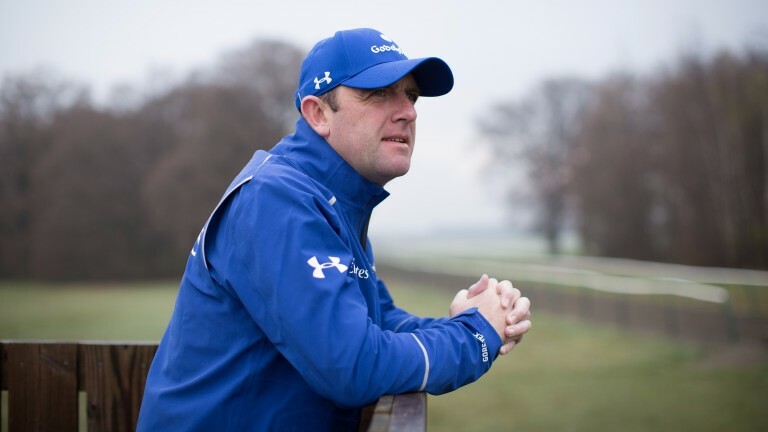 Trainer Charlie Appleby is hoping it stays dry in Paris between now and Sunday for his contender, who is bidding to give Godolphin a second win in the Classic following Shamardal in 2005. He said on Wednesday: "Bay Of Poets has put up two good performances so far this year against the best around and he deserves to have a crack at a Classic. Trip-wise, we feel that a mile and a quarter is his optimum at the moment." As regards the ground, he added: "It's good ground over there at the moment, which would suit, and he wouldn't mind if it quickened up. What we don't want is one of those thunderstorms to hit, which they say may well be around, later in the week." One notable absentee from the 13 entries going forward for the race is 2,000 Guineas third Al Wukair, who was reported to be "lame with a small l" by connections. Harry Herbert, racing manager to owner Al Shaqab, hopes the son of Dream Ahead will make it back in time for Royal Ascot. Herbert said: "Andre Fabre felt the horse was not quite 100 per cent, but only lame with a small 'l'. It was enough not to risk him with a Classic just around the corner and hopefully he can make Royal Ascot. "Thankfully Al Shaqab still have the French 2,000 Guineas winner Brametot, in whom we have an interest, in the race." Brametot, trained by Jean-Claude Rouget, just got up to win by a short head at Deauville, and Herbert is a bit worried about his running style around Chantilly. He added: "Brametot likes to be delivered late, which could be a bit tricky around the turns, so we'll have to see how the draw plans out, but Jean-Claude is delighted with him."